Java provides two interesting Boolean operators not found in most other computer languages. 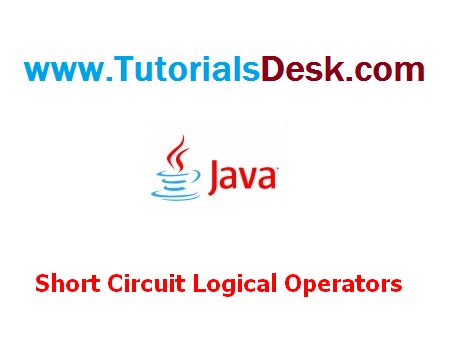 These are secondary versions of the Boolean AND and OR operators, and are known as short-circuit logical operators. As you can see from the preceding table, the OR operator results in true when A is true, no matter what B is. Similarly, the AND operator results in false when A is false, no matter what B is. If operator results in false when A is false, no matter what B is. If you use the | | and && forms, rather than the | and & forms of these operators, java will not bother to evaluate the right-hand operand alone. This is very useful when the right-hand operand depends on the left one being true or false in order to function properly. Since the short-circuit form of AND (&&) is used, there is no risk of causing a run-time exception when denom is zero. If this line of code were written using the single & version of AND, both sides would have to be evaluated, causing a run-time exception when denom is zero. Here, using a single & ensures that the increment operation will be applied to e whether c is equal to 1 or not.